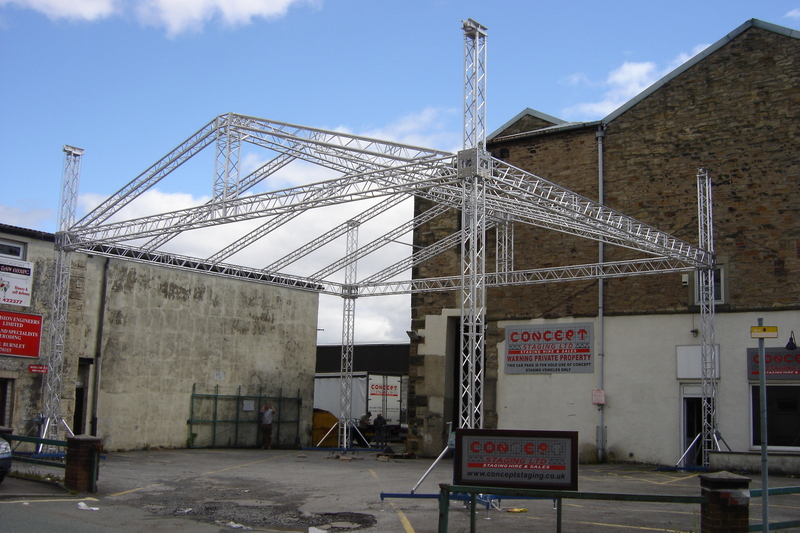 Concept Staging Ltd carry as a standard stock item XO Truss and Milos Truss which allows us to provide Flown Rigs, stage set design, Ground Supports, Roofs and Towers. We provide exceptional portable outdoor stage set design services1 to our clients. We set outdoor stages with outstanding appearance to give you a special feel. Contact us today for any kind of outdoor stage hire services.